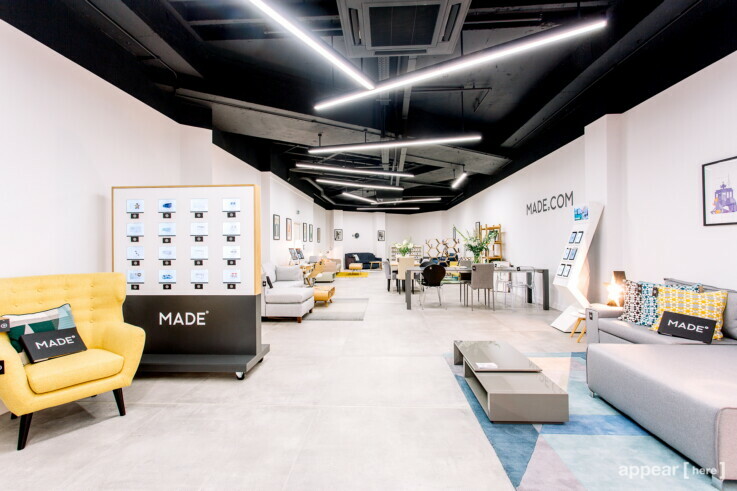 The huge success of Made.com, with its model of selling original furniture design at affordable prices, suggests an e-commerce offering that works. 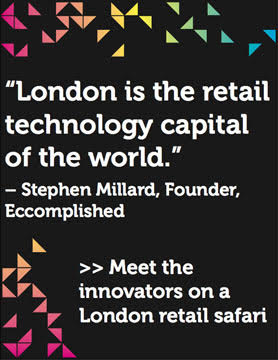 And yet the company has been consistently opening showrooms across the UK, and now Europe. What’s more it has pioneered innovative in-store tech that enables customers to self-serve, and placed its office staff within the stores themselves. The results are compelling with the value of in-store transactions broadly higher than online, and strong conversion rates. How has it done it? We spoke to Head of Showrooms Rebecca Ruddle to find out the strategy behind the stores and what Made has up its sleeve next. 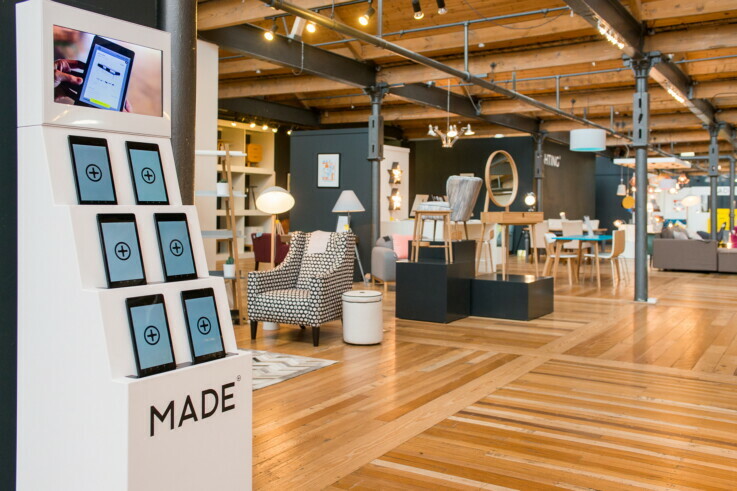 Made.com started out as an e-commerce business, so what inspired the launch of the physical showroom? It overwhelmingly came from our really enthusiastic customers wanting to touch and feel the product before they purchase, to gain a better understanding and insight into the business. Basically, be inspired as much as they were online– actually in-store with a team of people who need the product. How do you pick what pieces go in the space? It’s a real challenge. We try to keep the showrooms fresh because our customers do come back on multiple visits. So certainly, with our flagships we’re changing the product almost on a bi-weekly basis. It seems that something’s always coming in and going out. But in terms of actually planning, we do four major changes a year – so once a quarter. And those are really based around the new collections that we’ve launched. We’ve launched two new collections every single week. So, we try to show the newest products, the bestsellers, the most hero products that come out of those releases but also we do look at seasonal trends as well. We have a big launch for outdoor in March – so all of the outdoor products go to the showroom for people to see. We’re doing a big homewares collection launch by the end of this month and that’s going to be heavily shown in the showrooms as well. Is there a connection with the e-commerce side when making those decisions, eg looking at the most popular products? Yes. I listen to feedback as well as customers are coming in and asking for a specific item. We’ll order one of those into the showroom based on the feedback and things. Can you tell me about what constitutes a typical customer journey – when customers discover you and at what point does that translate to coming into the store? How often do they come to the store before they buy? We’re primarily a pure play e-tailer so obviously, the journey starts online. Customers will find our website either direct or via our social platforms, online advertising etc. We also obviously advertise quite heavily in all of the interior publications. But 80% of our customers who actually come in store, they know us already, they’ll be familiar with the brand, some of them for many years before they actually come into the showroom. About 80% of people, they actually have done their homework at home and come in the store. It usually takes about one visit to convert, mainly because of the homework that the customers have done, they’ve gone to other retailers and compared our prices and our products. Once they come into the showroom and see the quality that they get from our offer for the price, usually the decision is made there and then. But we do have a large amount of people that do come back on multiple visits, because it’s a really measured purchase, they need to bring their partner in or they need to go home and measure up and just double-check the fabrics swatch and things. We probably see about 10% of people converting then and there and then about 30% of people coming back again for another visit. 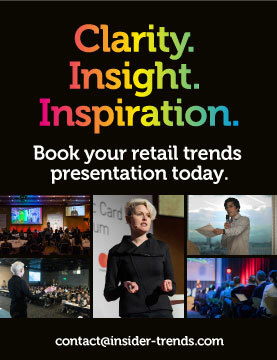 With customers that come into the store – does that change their purchasing behaviour over time? Do they buy more or have more of an on-going engagement with you? The showrooms really give our customers that confidence to purchase from us. They tend to not start with the entry level products that they do online. A lot of people would start with the cushions or light, whereas, if they come into the showroom they’re normally going to be making that more measured purchase, so they’re purchasing the sofa or the bed or the cabinets. 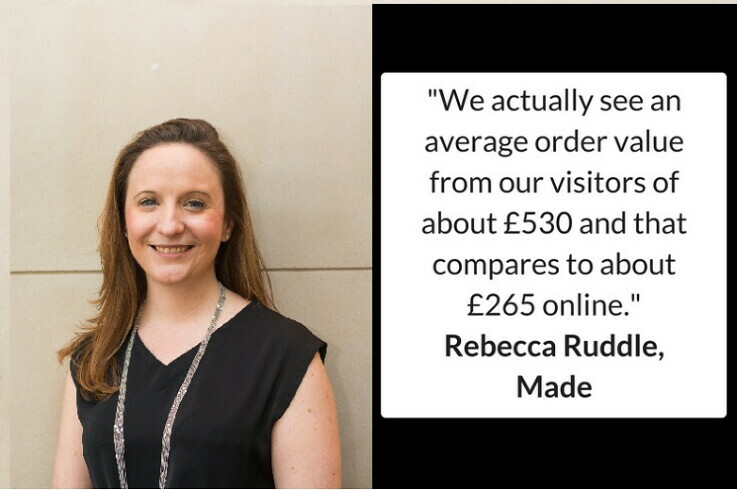 We actually see an average order value from our visitors of about £530 and that compares to about £265 online. So, there’s a real big difference between online and offline for Made. Some of that would be because they’re purchasing the sofa but also the way that we lay out our showrooms. We try to make it very inspirational. So, putting together small room sets and customers will come in and actually see everything in the room set and go, “actually that’s exactly what I want.” So, they’ll buy more than one item. We also provide handheld tablets that customers can use once they’re going on the showroom. Every item that they tap gets added to a list which they email themselves– so they’re not going to forget that small item that may be that cushion or that lamp or the rug that went really well. They’re going to have all the details, which means that the number of items they purchase and the average order value goes up. Where did the idea for the tablets come from? And how did you come to work with Cloud Tags who provide the NFC tech? We’re absolutely a tech business. So, we’re always looking at the newest technologies both for the website but also in-store. At the time I was doing a review of all of the technologies that were available for enhancing in-store interaction and I just found that Cloud Tags’ platform was the easiest to use, the most useful for the customers now. And it did the major thing that we needed it to do, which was to capture the customer’s email address. I was looking at a lot of things like QR codes, which you can use with your phone but we actually don’t get any benefit or data from that. We did do a trial with some augmented reality but because our catalogue was growing so quickly it was slightly limited – even looked into RFID technology. But the way our business works, it doesn’t really make sense for us to use that. NFC was definitely the best option for us and the most user friendly and a good actual customer experience. So, we partnered with Cloud Tags three years ago and from that we have taken the tablets further and further and further along. We’ve gone from version one of Cloud Tags all the way up to – we’re just about to launch version four of the tablets. What new functions will version four add? How will it improve the tablet experience? It’s really down to the way that the system works and how quickly it works. They’ve created an app that mirrors our website. Some of the issues that we were having that the beginning where based around the speed of the tablets. The actual NFC tags as well, have actually dramatically improved since we started using them three years ago. Just making it much more accurate, much more user friendly because it works and it works really quickly and it works all the time. This was my number one priority. I did not want there to be any barrier to actually using the tablets, so I didn’t want the customers to have to download an app, to have to take out their phones, to have to hook up to the Wi-Fi and things like that. The tablets, by offering them free of charge in the showroom, it cut out all of those barriers. People are happy to pick up the tablets and use them. We’ve gotten so far with using them that we’re actually taking away all pricing in our showrooms so that the customer must use the tablets to find out the prices. What sort of what insights have you been able to glean from using the technology– what you’ve learned about your customers? The great thing about the tablet is every single item in the showroom has a tag on it, including every single postcard that we have in the showroom as well. So, based on the number of taps that certain products get, we know what the most popular items in our showroom. We know which ones are the least popular as well, so we’re able to get out products that are not sweating their space, to make sure that it’s a really commercial showroom for the customers. We also can track to see how that customer performs online. So, if they go on to order fabric samples or go on to purchase an item. We send out a very soft couple of CRM emails as well to the customers, just reminding them that they made the list and how they can go about using it. But for me, the most important thing is it allows the customers to self-serve around the showroom, so the staff can deal with the nitty gritty more difficult kind of bigger orders and things like that. But it tells me in my showroom, what’s working and what’s not. Do you have any particular plans for where you want to evolve the NFC side next? We really want it to be where you can actually use your own device as well, which is a real stumbling block with us with Apple and how many of our customers use an Apple product. The goal is to bring it on so that it’s your own device rather than having to use one of our tablets. But we’re also adding new features into the app. At the moment, we’re trialling something with the company around feedback of the product, feedback about the service they had in-store as well. So, it’s not just about creating a wish list but you actually can give real-time information and feedback to the company which would be really useful for us. It allows the customer to interact with us on a different level. We just want the tags on the tablets to get better and better, so that it’s completely seamless and instant information coming up. The other holy grail for us is, instead of using the app to add to a wish list, we actually are able to tap straight into our website, so the customer gets the entire website experience on the device and they can add things to their basket and purchase. Right now the email that they receive, it’s one click and it takes them straight through to the product page on the website but they would then still have to add that to the basket. And then as a next step if they have a basket at home, just dial into that and instantly have it on the tablet as well. Is there any other technology that you use in the showrooms? The touch wall again is using NFC and it’s in collaboration with Cloud Tags. But the whole idea around that is it’s particularly important for our pop-ups to be able to show the breadth and depth of our catalogue in such a small flexible space. So, the touch walls do that by showing images. We’ve got sixteen digital screens and they show our hero products which we have in-store. So, for customers looking at the corner sofas that we have on display in Birmingham, they can go up and they can tap that item on the screens and all of the other screens then are going to change to other products in the range or items that are really closely linked. It’s great for add-on sales and recommendations and giving a customer more inspiration as to what works well with that product and it just it helps them to explore and understand the rest of our catalogue basically. 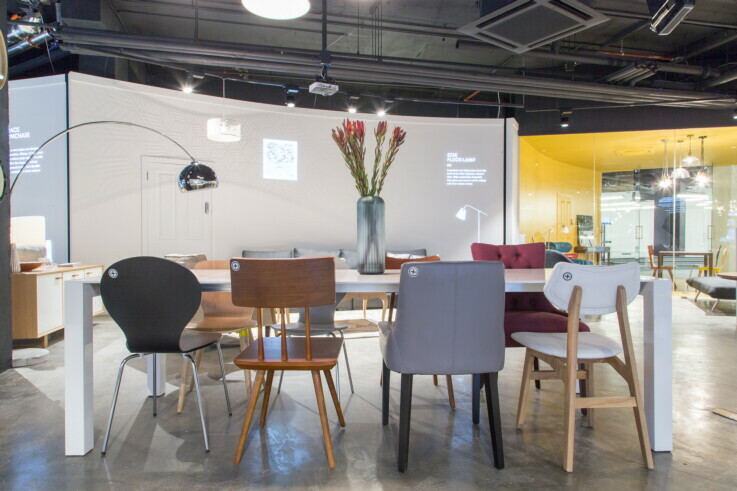 Can you tell us about your European showrooms? It’s been a really fantastic challenge. We launched our Amsterdam showroom in collaboration with some really cool local companies, so quite a divergent from having a pure standalone kind of showroom. It’s much more of a We Work kind of working space along with a coffee shop and a hairdresser. It is a really different vibe – it totally fits in with Amsterdam. 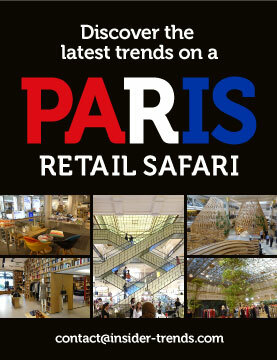 We then opened our flagship in Paris which was just a complete and utter labour of love. It took months and months to get that site planned and ready. It’s absolutely massive, over two floors with an atrium right in the middle of the showroom – it’s a real showstopper. We actually found the process really pretty straightforward. We had a couple of issues with planning that we didn’t fully understand before we went in but we had to get around all of that. And the Parisians have just taken to that showroom. It has probably actually trebled the footfall that we’re getting in Soho, which is just amazing. Our third showroom is in Berlin, which officially opened last month and it’s going really well. 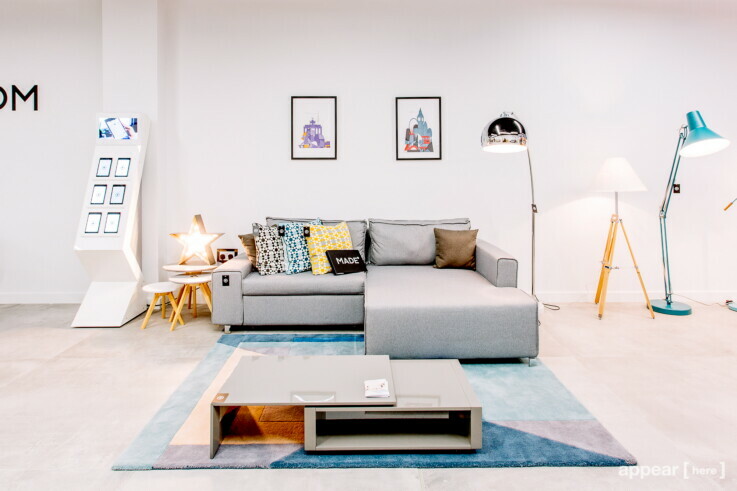 It’s in a fantastic location at Checkpoint Charlie and it’s kind of like our London showroom where the German office is based there as well. So, it’s really great for customers to be able to see the customer services team working in the office and having the MD walk through and things like that. So each store is individual then? We’ve got a couple things that are in our DNA for showrooms. One of those obviously being the handheld tablets but also things like the self-service product wall where you can pick up a postcard or a fabric sample. The fact that we always provide the iMac stations to be able to explore the entire website and be able to order in-store. We’re developing a few other pretty cool concepts around our new homewares collection, which should be rolled out to all the showrooms. But what we do try with every showroom is to be sympathetic to the property itself, to do something that kind of reflects the history or the area that it’s in but also to have something completely sort of cool and quirky in each of the showrooms, so people have a real reason to go. How does having a store somewhere like London or Paris or Berlin affect visibility in sales across the whole country they are in? Are you able to see what percentage of people live close to the stores or what percentage live further away in the country and are coming in? 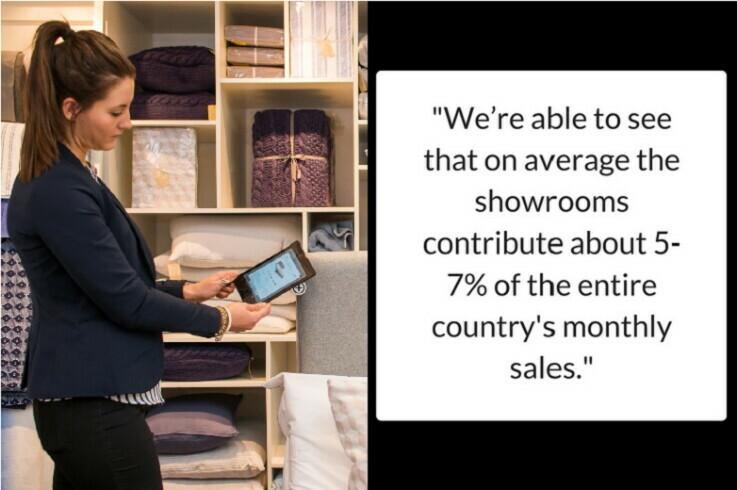 Because all the sales are still going to online they sometimes can get muddled with regular sales, but what we can track from visitors that come to the showrooms we’re able to see that on average the showrooms contribute about 5-7% of the entire country’s monthly sales. It’s not an insignificant amount of money and our plan is to obviously promote the showrooms even further, so that that will increase and more and more people will come to the showrooms before they purchase online. We find our customers will absolutely travel to come and see us. We have a radius of at least 25 miles on the outside of each city centre, but there are some people that will drive up to two hours to come and see us. In most countries it’s only one location and you’d be really surprised at how many people will travel to go and see it. Our prices are so well balanced with the quality of our products that people they see it on online and say, “I just can’t believe that that sofa really is that price”, so they will come and even make it a weekend, or they plan a month in advance and come and see us. The whole showrooming strategy for Made.com, we don’t want to be the high street, we don’t want to be popping up in every single city. We’re very measured with the opportunities that we take to showrooms and I don’t think that will ever really change. I think our main city centre showrooms will be our absolute brand cathedrals, they’ll be something big and special and will draw people from much further afield than other retailers are able to do. 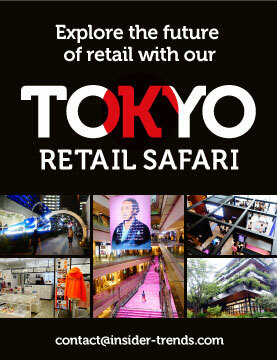 You mentioned with the Berlin and London stores that the regional offices are on the shop floor. Why did you decide to do that? How has it impacted performance? 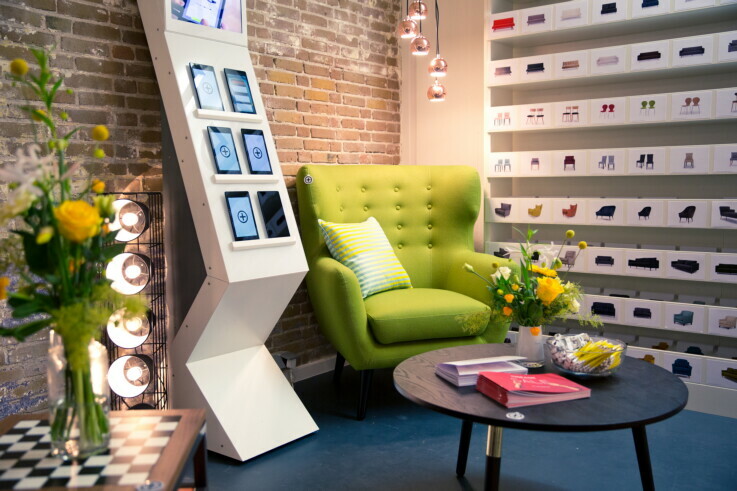 When we opened our first showroom which was in Notting Hill, we had our office there and one of the floors became available and we said “would it be really weird to have our showroom connected to our office? Like you know a couple floors up, would that be really strange?” As we did the research into it, we actually found that it’s a great way to not have to pay the high street price. So we opened Notting Hill in 2012 and I’m thinking that not many people would come to an office building to come and see furniture. But we were overwhelmed with the people that were coming through. So, when the office decided to move I made it very clear that I wanted the showroom to still be connected to the office because it’s great for the staff to be able to see the products. But also the end goal is to sell our furniture to our hungry customers and if you’re disconnected from that, it’s very easy to really get disconnected from the end goal. So, I was really adamant that I wanted the showroom to be still combined with the office. The architects that we used for Soho were absolutely brilliant. They came up with the meeting room fishbowls right in the middle that divide the showroom from the office and it’s one of the favourite things that we have in the space. It’s so cool to be with the customer in the showroom and you know the CEO and the MD are sitting there having a meeting. It gives the customer that little extra confidence that we’re a real company. They actually can physically see us in here working on everything. Do you feel like that gives you less scope to perhaps hide away from issues? We actually have to walk through the showroom to get to our kitchen downstairs. So, they can stop us as we are walking through. But it’s also great that if there is a major customer issue we can just get customer services to come out and speak to them face-to-face which is just a much better customer experience. We’ve been able to trial things in the showrooms because the tech team are right here and they’ll be like, “actually, we got this really new tool that we want to see really work before we launch it on the website”, and they’ll just come out for a couple of nights and trial something with our customers. It’s a really great interactive space and our CEO constantly has meetings and sits in the showrooms and just chats away to the customers. Are there any other developments planned for showrooms or the e-commerce side? We’re a very fast moving company. We’ve got a lot of plans coming up for the end of this year and early next. We’ve got at the moment a major launch of a new product category for us which is homewares. Our overall goal is to be a one-stop-shop for all interior projects. That’s kind of been the focus so far this year. In terms of showrooms, we’ve just had our Birmingham pop up, and we’ve already seen really great results and some really good feedback from the customers in Birmingham. So, I wouldn’t be surprised on the back of the success of that pop-up that we will be looking for something maybe more long-term in Birmingham. I think that the next showroom will most likely be popping up in Scotland, where we have been wanting to be for a long long time now. So, we’re looking at some added sites for January, which hopefully should happen. The other things that we’re doing is focusing on the real sort of bug-bears for our customers. So, things like lead times have been a major barrier for customers to purchase. We’ve been working really hard to get our average lead time down. In most cases, it’s only a few days for delivery and for our post rates we’re hoping to get that down to about six weeks. We’re also launching a really cool new sort of scientific tool which will enable customers to better understand what will work in their home and what colour they are thinking of in what configuration that they’re thinking of. Is this tool going to be part of the website or in-store app? It’s actually going to be part of the website. We trialled it a few months ago in the Soho showroom and the overwhelming response from customers was really positive. Basically, you can be on any upholstery page and you can use the tool to type in the max measurements that you need an item to be and your preferred colour and it will give you a list of the items that meet that criteria. So it’s much easier than going through every product page and trying to find the dimensions that are going to work and aren’t going to work. The other thing that we’re doing for customers is very soon we’re going to be launching a build service. All of our furniture obviously comes flat packed, and so with our top 100 items we’ve actually hired and trained a team that can come in and build that furniture for you at a cost. That’s a real big step forward for us to be able to offer that service. We really have gone through and every complaint that we get in and every contact with our customer services we’ve gone away and said, “okay, how do we stop this from happening?” What are the services and the things that the customers want that we can provide to them so that they can completely self-serve and have a great experience?” And those things are finally coming to fruition. For more information on NFC tech in retail read our interview with Cloud Tags, and explore 13 companies doing omnichannel brilliantly, including Made. 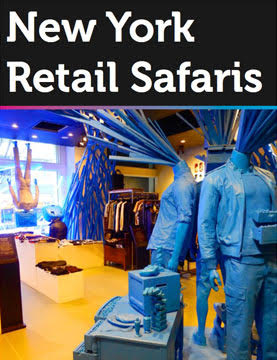 To explore stores like Made for yourself, get in touch to book one of our London or Berlin retail trend tours.